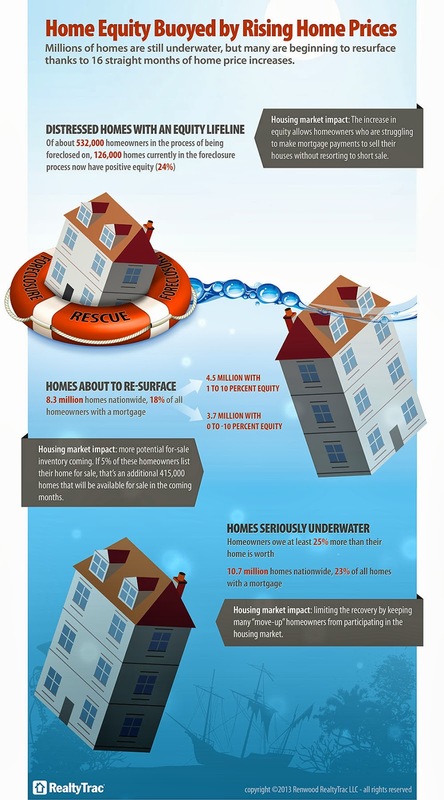 According to RealtyTrac, within the next 15 months, more than 8.3 million homeowners, representing 18% of all U.S. homeowners with an existing home mortgage, are positioned to have enough equity in their homes to be able to sell their homes without a loss. This market segment, combined with the 7.4 million homeowners who currently have at least 50 percent equity in their homes, signals a very positive trend for adding for-sale housing inventory. CLICK HERE to read the full report and see which markets are now on the mend.